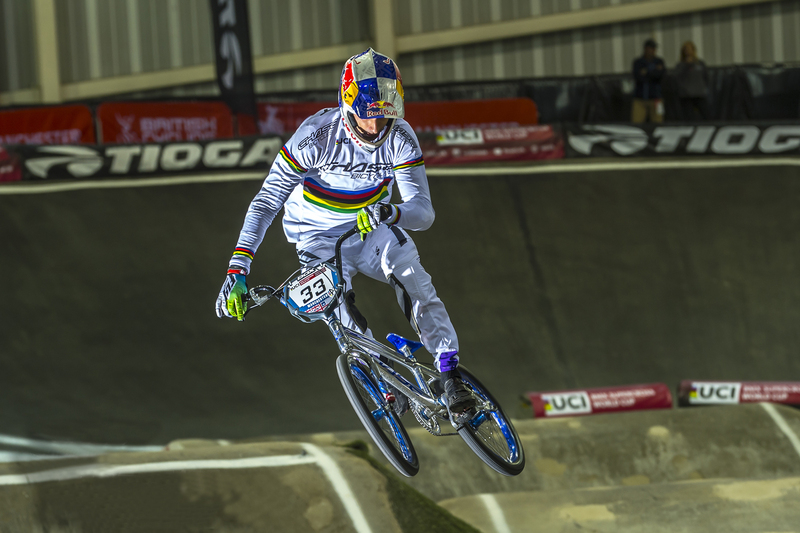 Round #2 of the UCI BMX World Cup tour took us to Manchester, UK this round and Joris Daudet, Romain Mahieu, Stefany Hernandez all took to the race. Unfortunately Connor Fields, whom was riding the Manchester track last week, had a crash and was injured, and he was unable to compete. On Friday, during practice of the event, Romain had a crash as well, and was also injured. We wish a speedy recovery to both riders and hope to have them back on track soon. Once racing kicked off, both Joris and Stefany rode strong all day. 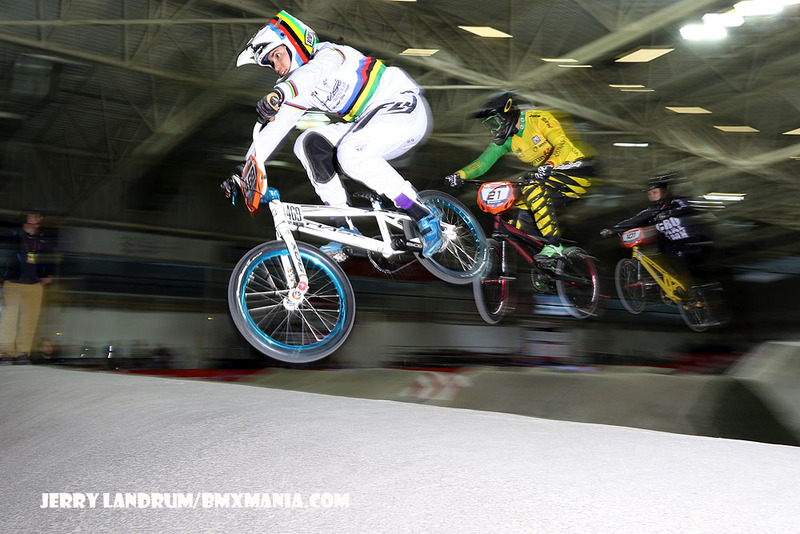 Stefany, coming back from a bad crash at stop #1 of the World Cup, rode great, making her way into the main event, after racing both on qualifying day and on the main event day as well. Joris would take to the SuperFinal TT on Saturday night, as he was ranked in the top 16 in Elite men and was pre qualified. Joris would wind up 4th place overall in the TT. On Sunday, main event day, both Joris and Stefany were on top of their game, winning races all the way up to the semi finals. In Elite Women’s, Stefany would transfer onto the main event, and in the Mens semi, Joris had a crash and still was able to make his way into the top 4, moving onto the main event. In the Elite Women’s main event, Stefany had a great start and was looking fast down the first straight away, but a crash heading into turn number one ended her quest for a podium finish. In Elite Men, Joris was starting from lane number 7 in the main event, had a great start, but was stuck on the outside of the first turn, where he would get held up, but still was able to come back and finish 5th for the day. Joris currently sits 5th overall in the race series, and Stefany is in 11th. 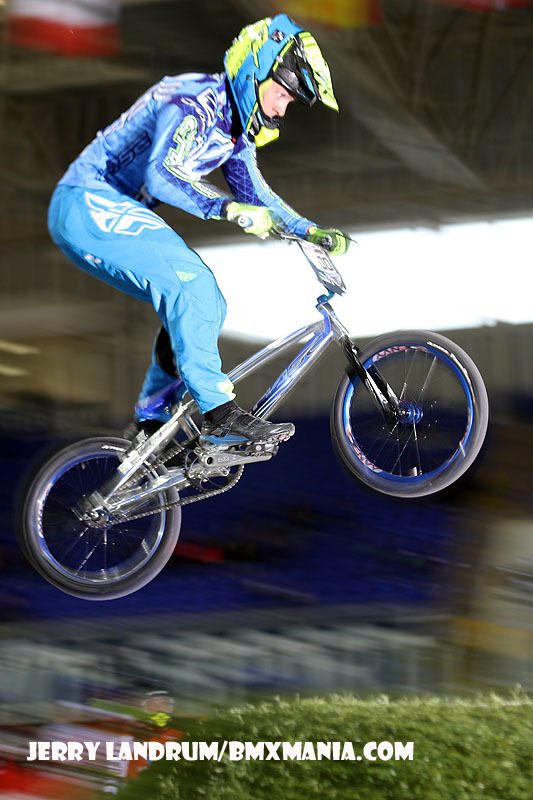 The riders have a week off, then Joris will head to Rock Hill, SC for the next round of the USA BMX Pro series. 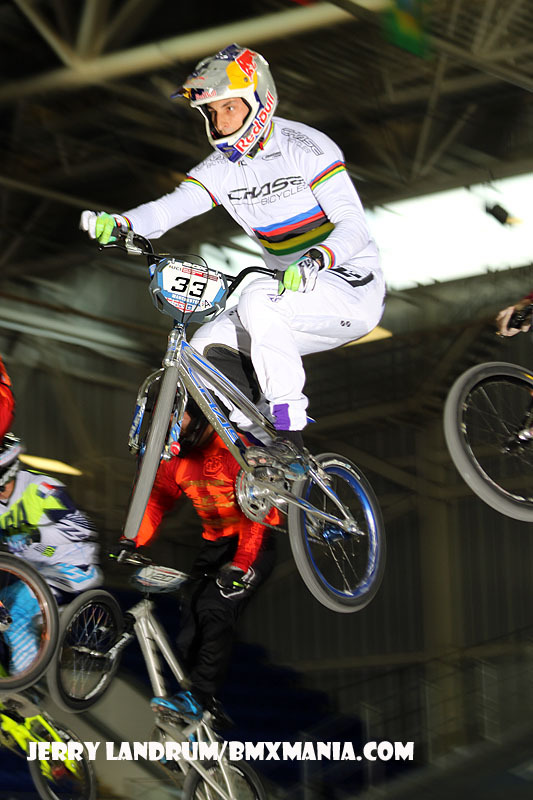 Then in 3 weeks times, the riders will head back to the UCI BMX World Cup tour in Papendal, Holland. 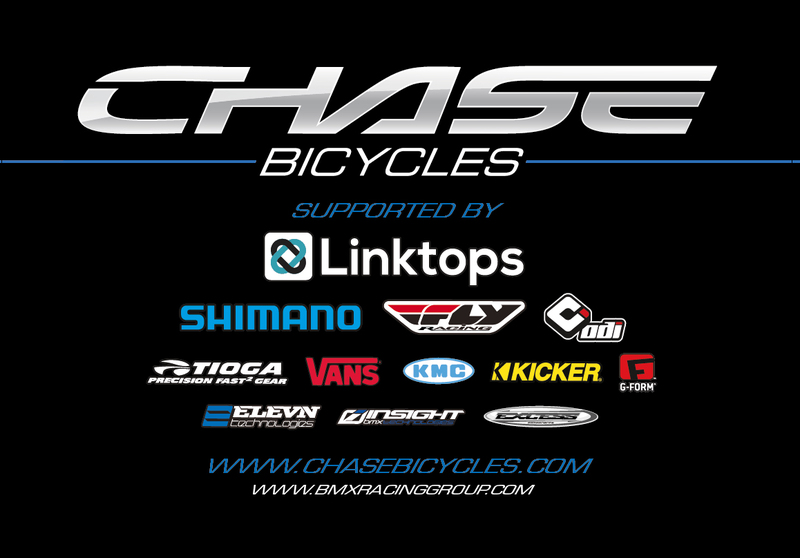 Thanks to all the team sponsors for the support of the 2016 Chase BMX Pro Team – Linktops, Shimano, Tioga, Fly Racing, Vans, ODI, G Form, KMC, Kicker, and Stealth Hubs.